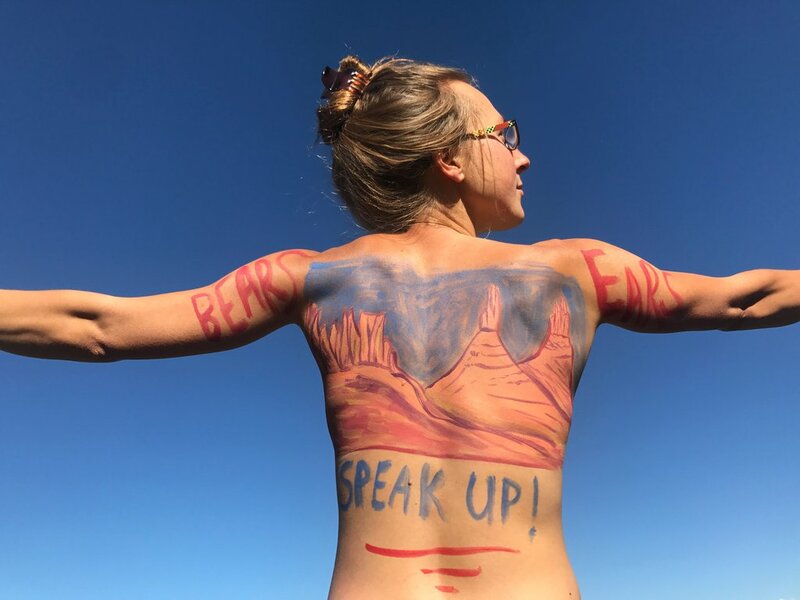 Sarah Uhl is an artist and activist from Carbondale, Colorado. 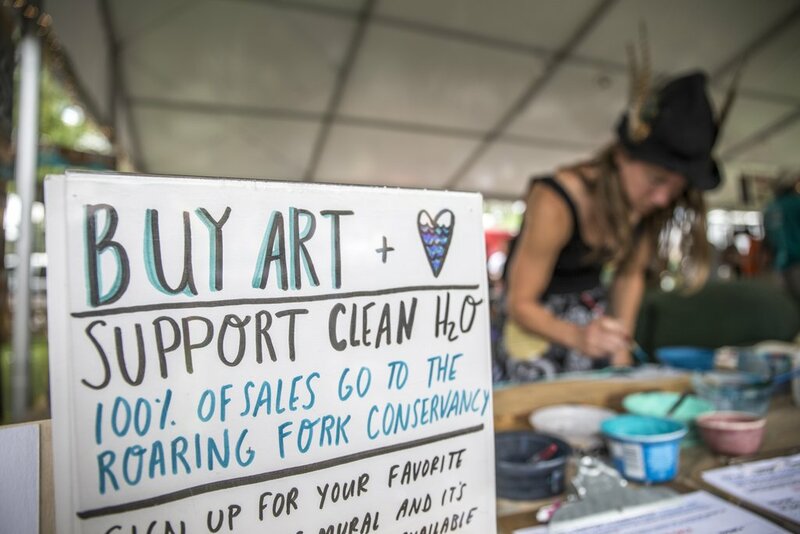 If there were the perfect example of art as environmental activism, it would be Sarah's work. 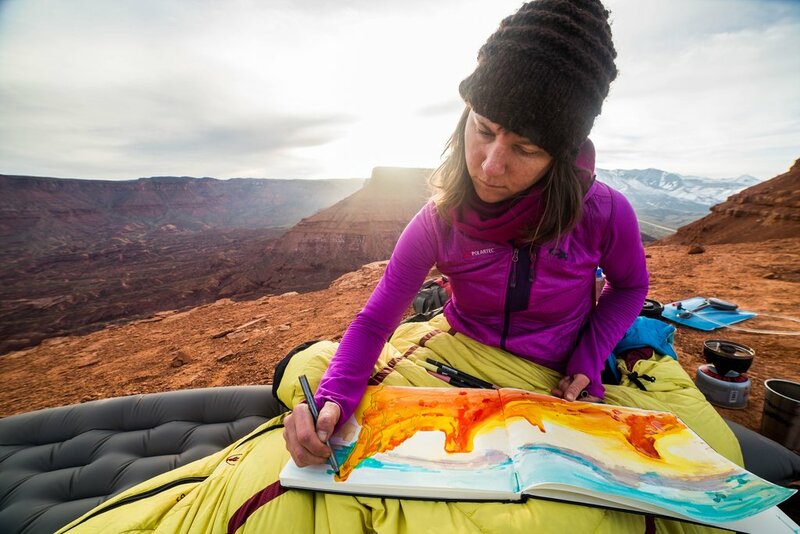 She has dedicated her efforts to creating art that promotes the protection of our public lands, clean water, and fighting against climate change. She's a free spirit and self-proclaimed joy evangelist. 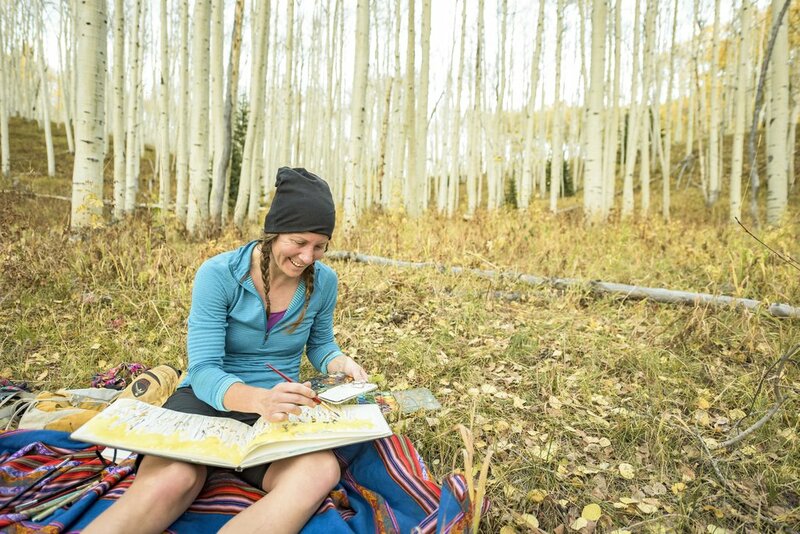 We absolutely fell in love with her work when we first saw it and got a chance to catch up with Sarah to talk about her story, her inspiration, and her dedication to conservation. I was born in Allentown, PA and grew up in the Appalachian woods up and down the east coast. My parents were avid rock climbers and cave explorers so we spent most of our time outside in nature. When did you realize that creating art was more than just a hobby? I have always been an artist but it wasn’t until I turned 30 that I actually gave it enough attention (and value) to pursue it as a storytelling mechanism. My sense of curiosity for the world needed a new outlet and pursuing professional life as a creative allowed me to chase that further. 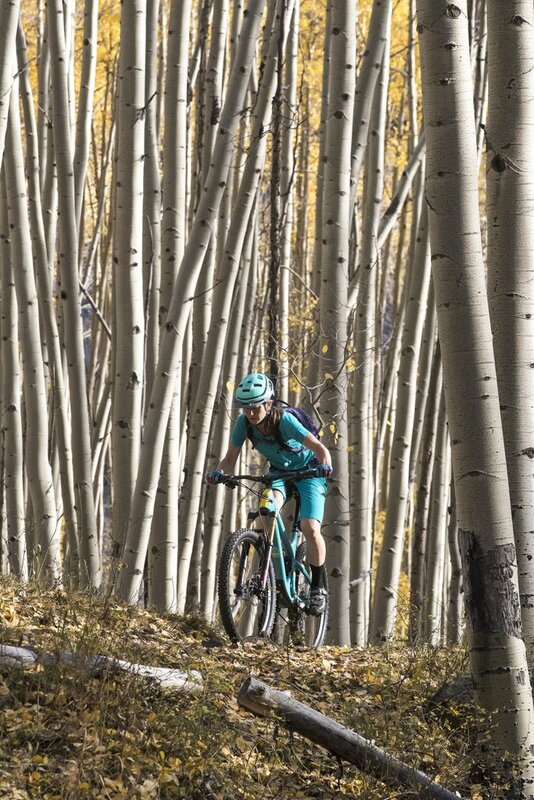 My inspiration is most certainly born in the mountains. I love the alpine and feel most alive when I am high up in the hills. I moved to a mountain town in 2012 because I wanted to be able to look out my door and see a mountain on my horizon every morning. 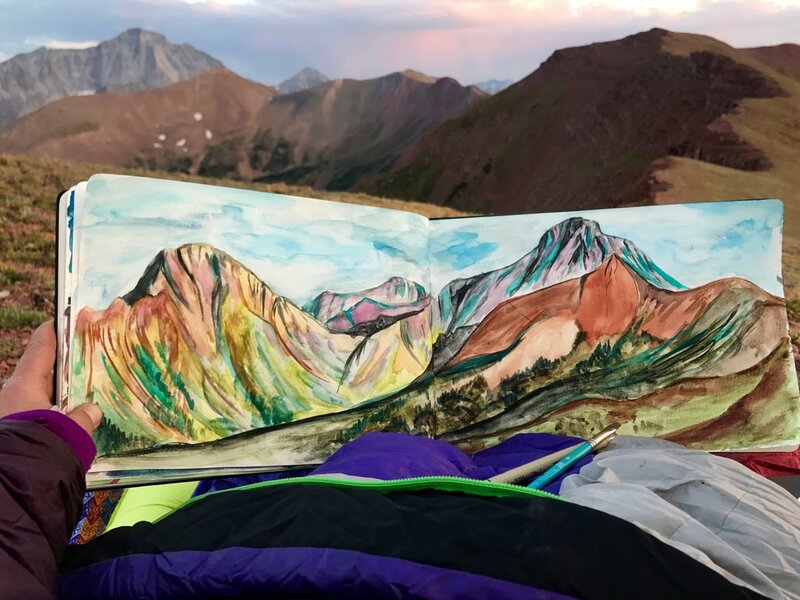 I kept saying that I wanted to be able to “have breakfast” with Mount Sopris every morning because I knew that would set me up to thrive. What are the kinds of emotions you look to evoke when your work is complete? Creating artwork is a form of chasing the truth for me. I hope to convey my own experience combined with the experience I perceive from the land. 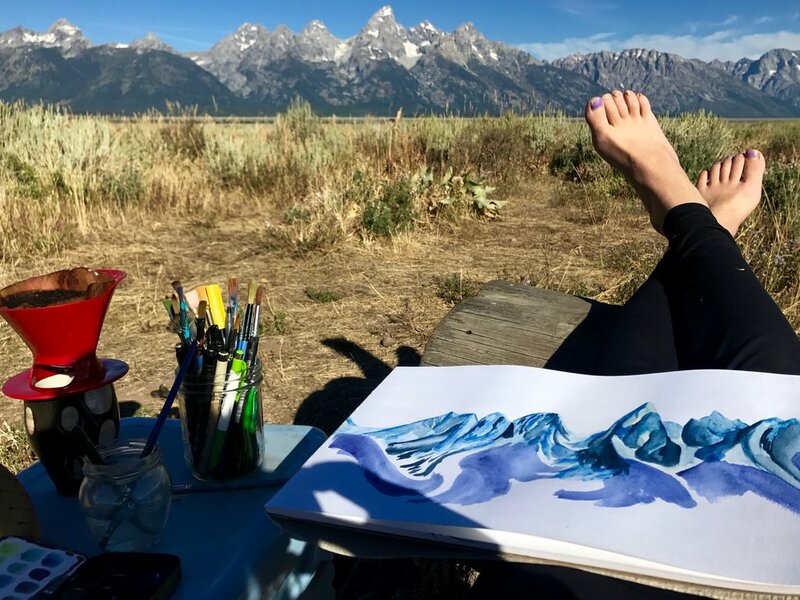 When I paint a mountain I am not only painting what I see but also what I feel. I feel as though my work is a visual recording of the conversations I have with the landscape. Sometimes the land is jumping for joy, pleased to share her beauty and wonder with us. Sometimes she is weeping, begging us to know her more so we may find ways to live more harmoniously together. 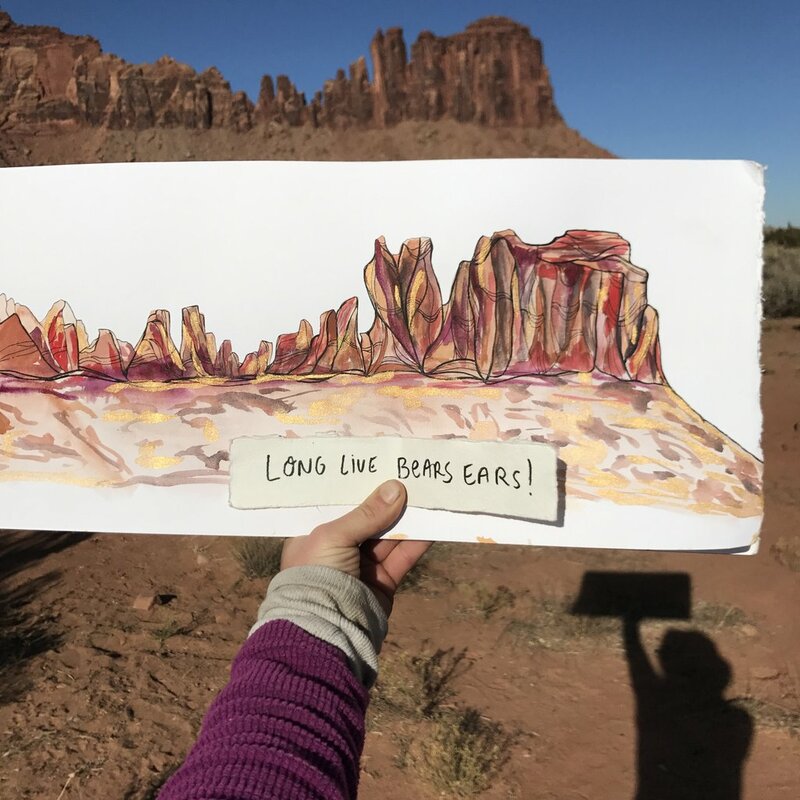 My goal as an artist is to provoke all of this in hopes that the work serves as an invitation to others to create their own relationship with the land and whatever the land has to say to them. Your work seems to reflect the world around you. What is your personal connection to nature and the environment? I believe in magic and I think the best place to find and experience magic is in the natural world. She is full of wisdom and beauty. I go into nature to seek a sense of connection, guidance and reassurance that we are all one… that we all coexist in the same cycles, the same woes, the same joys. I also go into nature to feel a sense of constant growth. We only know so much and if you keep seeking growth you will discover an endless world of opportunity to expand in all dimensions. What about the world inspires you? People practicing kindness inspires me. People being vulnerable inspires me. People seeking growth and personal expansion throughout their inspire me. The magic kingdom of the natural world is also a constant source of awe and wonderment that seems to dish up unlimited refills of inspiration. Getting to know myself and my own edges inspires me to keep digging in, asking hard questions and going to places I’ve never been before. We are such resilient beings and I feel fortunate to be surrounded by so many incredible folks living beautiful lives and making a difference in the world. It makes me want to do the same and never fall to complacency. Is there a specific environmental issue that you personally feel passionate towards? Yes. 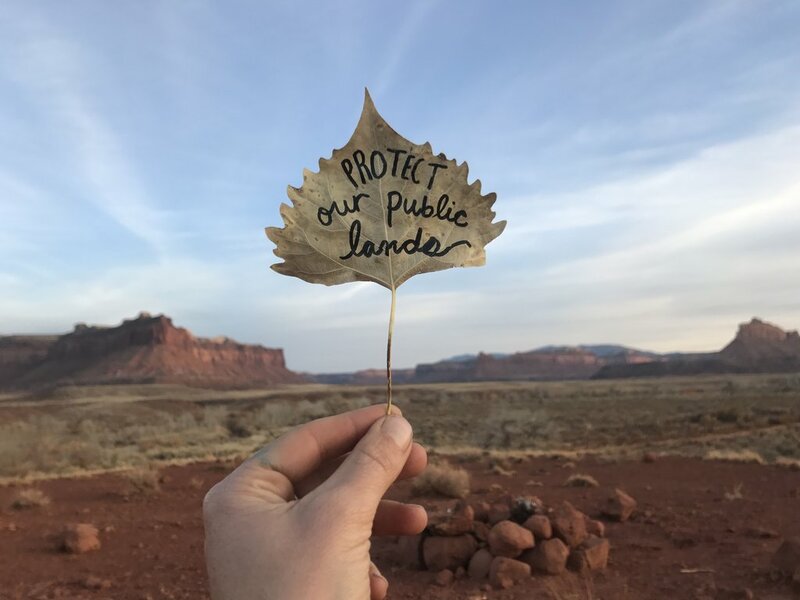 Like many of us, I believe in the protection of our public lands. Time spent in the beautiful wild places is our reservoir of hope and connection; it is the keystone to caring about our planet and paying attention to how our actions impact the world as a whole. If you do not have access and exposure to a beautiful wild river, it’s hard to care about clean water or water conservation. If you have never seen the remnants of those who have come before us, it is hard to think that anyone will come after us. Access to our heritage and the wild world that sustains us is paramount to protecting it. Has there ever been a time in your career where you felt extremely passionate about using your work for cause? Right now, Right now, Right now. I actually always have wanted my “work” to relate directly to causes I’ve cared about but I didn’t have as direct of an equation to pull this off as I do now. 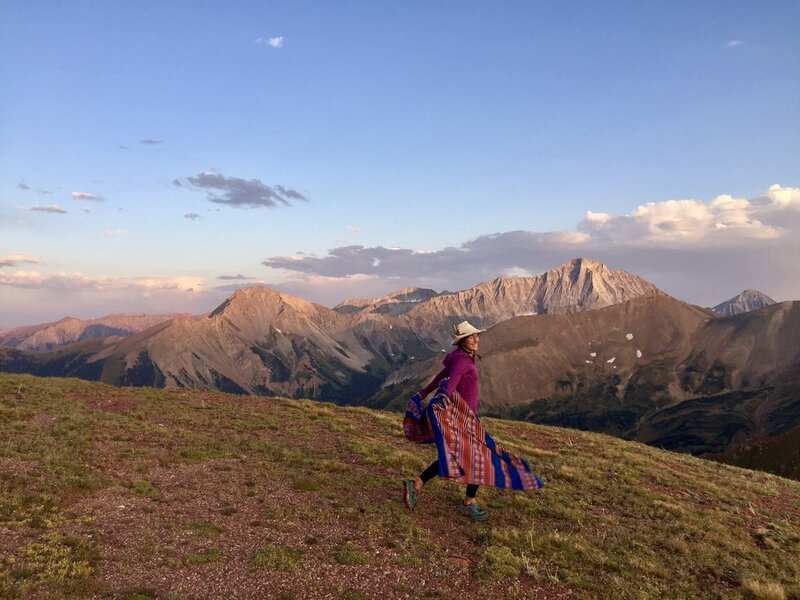 I have always wanted to be an advocate for the land, and for sustainable practices, but I couldn’t quite figure out how to apply myself in other ways that made me feel like I was really moving the needle. 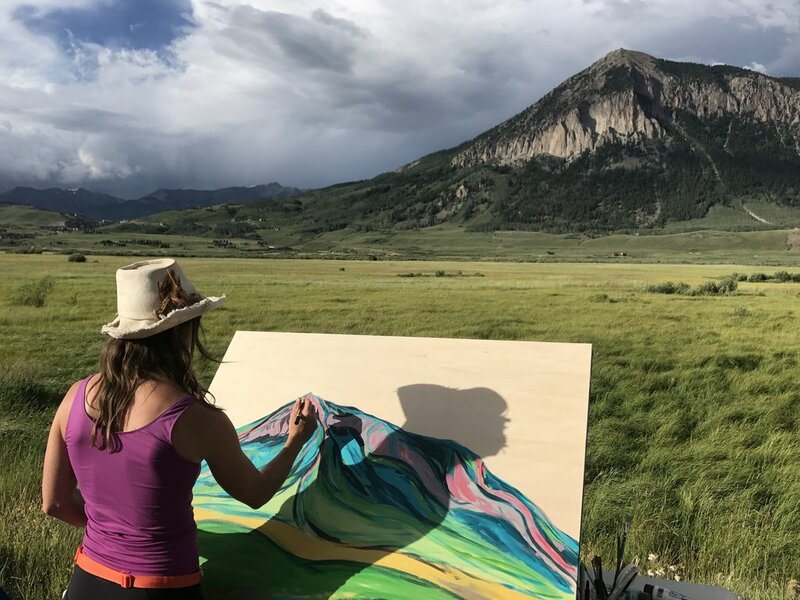 Creating art that can be used to bring attention and connection back to the land is a very satisfying equation. My success as an artist is directly related to my ability to draw more people into these challenges that need all hearts and all hands on board. I am extremely motivated and that motivation stems directly from my deep love of the land and my desire to carry her voice through my works. Art seems to be a universal truth. A final product left to interpretation by the audience, but ultimately, focused on the artist's ability to tell the story. What is it about art that allows you to be so expressive, but also focused? Great question! I think it just stems out of my own love of the land. My work is a transcription of an incredibly authentic and gushing wellspring of love for the land. I feel more like an advocate for the land than an artist. Art is just the mechanism I’ve chosen to convey something so wildly important and compelling to me. I hope that everyone can find their way into knowing what makes them come most alive so they too can serve the world through amplifying their own truth… their own undeniable question about why we are here and what makes us tick. 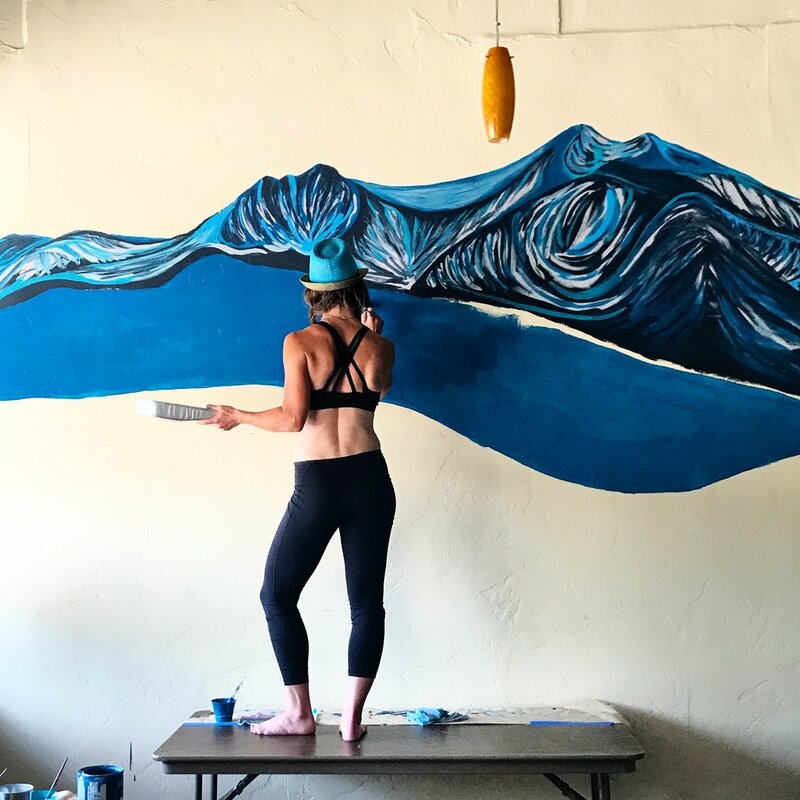 If you love Sarah's work and want to see more check out her website at sarahuhl.com or instagram @sarahvirginiauhl.